Gloria Dandy, age 90, of Mesa, Arizona formerly of Sioux Rapids, Iowa died on Sunday, November 11, 2018 at the Regency Retirement Residence in Mesa. Funeral services will be held on Saturday, November 17, 2018 at 10:30 a.m. at the Sliefert Funeral Home in Sioux Rapids. Burial will be in the Lone Tree Cemetery in Sioux Rapids. Visitation will take place one hour prior to the service at the church. The Sliefert Funeral Home in Sioux Rapids is in charge of the arrangements. Gloria Ann Stark, the daughter of George and Mary (Morris) Stark was born at Linn Grove, Iowa, on March 13, 1928. She lived her youth in the Linn Grove community and attended school there, graduating from the Linn Grove High School. On August 13, 1946, Gloria was united in marriage to Lincoln “Linc” Dandy, at Jackson, Minnesota and this couple was blessed with four children: Linda, Allan, Todd and Gregg. They resided in Sioux Rapids, Iowa, throughout their married lifetime. Gloria was a cook at the school and Linc was employed at the Hy-Grade Plant in Storm Lake. 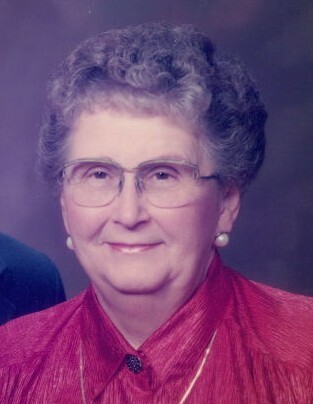 Gloria was a faithful member of the Faith Lutheran Church in Sioux Rapids until the church closed. She had served on the funeral committee, participated in the ladies groups and served as church custodian. Gloria had many varied interests and pastimes that included quilting, which she made many quilts for her family, ceramics, fishing with Linc , and Gloria was an avid gardener and canned many things from her garden. Gloria and Linc enjoyed many summer vacations at Camp Okoboji in the Iowa Great Lakes area. Gloria’s life and memories are honored and cherished by her family which include: Linda (Jack) Martinson of Vermillion, South Dakota, Allan (Jackie Haaland) Dandy of Greenville, Iowa, Todd (Tina) Dandy of Anthem, Arizona and Gregg (Deanna) Dandy of Mesa, Arizona, her grandchildren: Eric and Scott Martinson, Flint Dandy, Kohlene Lausen, Ryan Dandy, and Tyler Dandy, nine great grandchildren, one great great grandson, other extended family and many friends. She was preceded in death by her parents, her husband, Linc, on June 17, 2013, and her sister: Sarah Carlson. Blessed be the life and memory of Gloria Ann Dandy. In lieu of flowers, memorials may be given in Gloria’s memory to the Seasons Hospice & Palliative Care of Arizona, 2020 N Central Ave Suite 170 Phoenix, AZ 85004.